Getting into the countryside and riding on some of the UK’s vast network of legal green lanes represents one of the most enjoyable ways to spend the weekend. And while it may not be for everyone, there are many in the adventure bike community who will agree. 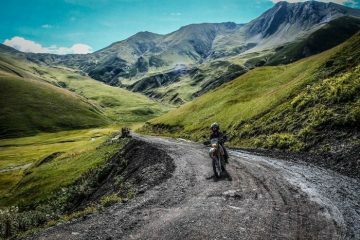 It’s a pastime that presents a unique set of challenges to both bike and rider, so it pays to be properly equipped when you head off-road. 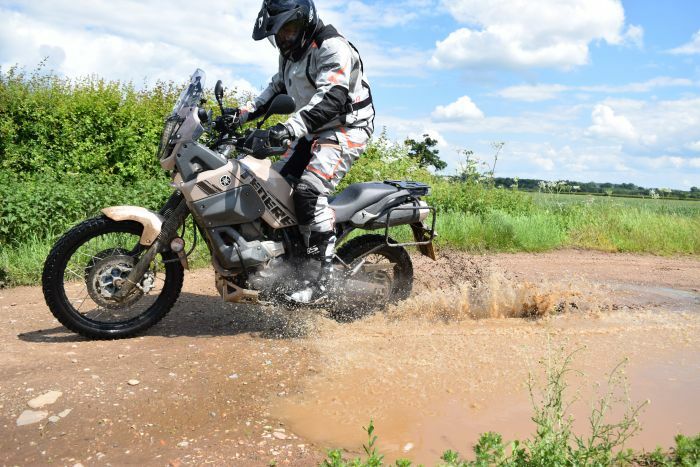 With that in mind, we’ve teamed up with off-road specialists Moto-ward to pick out a handful of ways for you to upgrade your green laning setup. 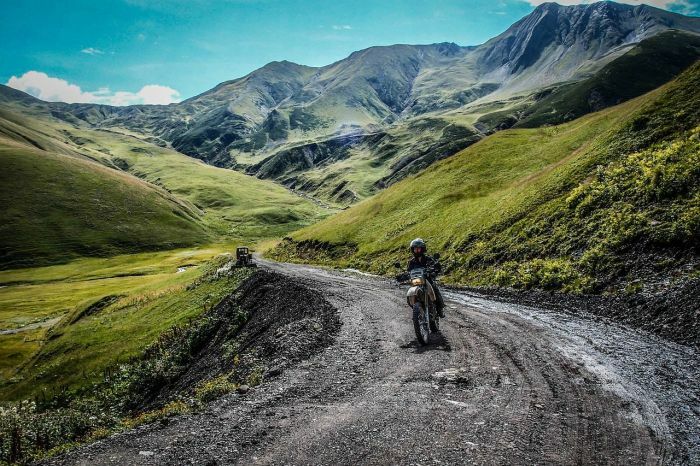 There’s nothing wrong with adventure-styled helmets, they offer a great compromise for anyone splitting their time on two wheels between tarmac and the rough stuff. 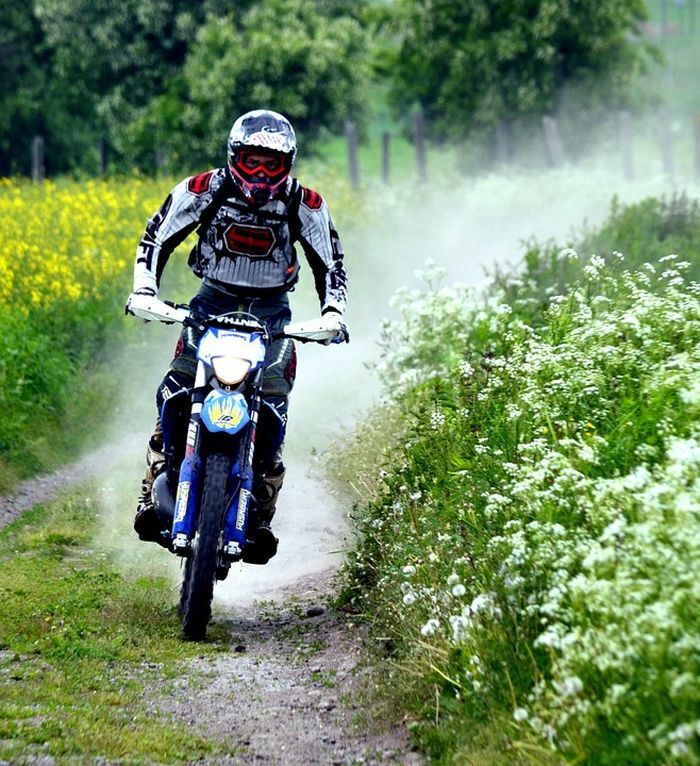 But if you find you are getting more and more into green laning, you may want to consider a motocross-style set up. 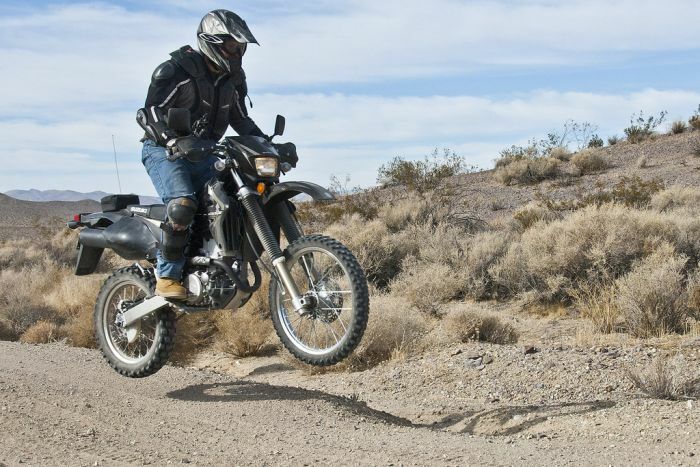 By investing in a more off-road focused lid, you’ll not only make weight savings, but you’ll also massively increase the ventilation and comfort when riding. This is thanks to extended chin guards and the lack of a visor. Instead, you can wear goggles which will maintain the excellent levels of ventilation while still offering adequate protection. 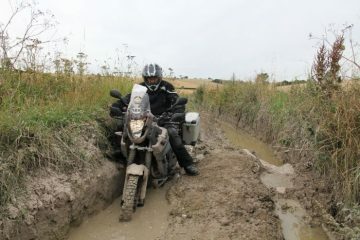 Green laning without boots built for such action isn’t ideal. 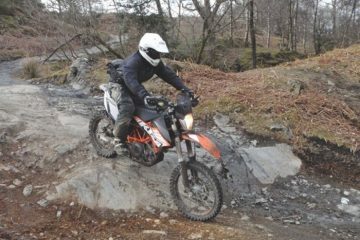 It’s important to make sure you have boots that offer excellent levels of grip through an aggressively cut tread and adequate support and protection to cope with the demanding terrain you’ll be riding. 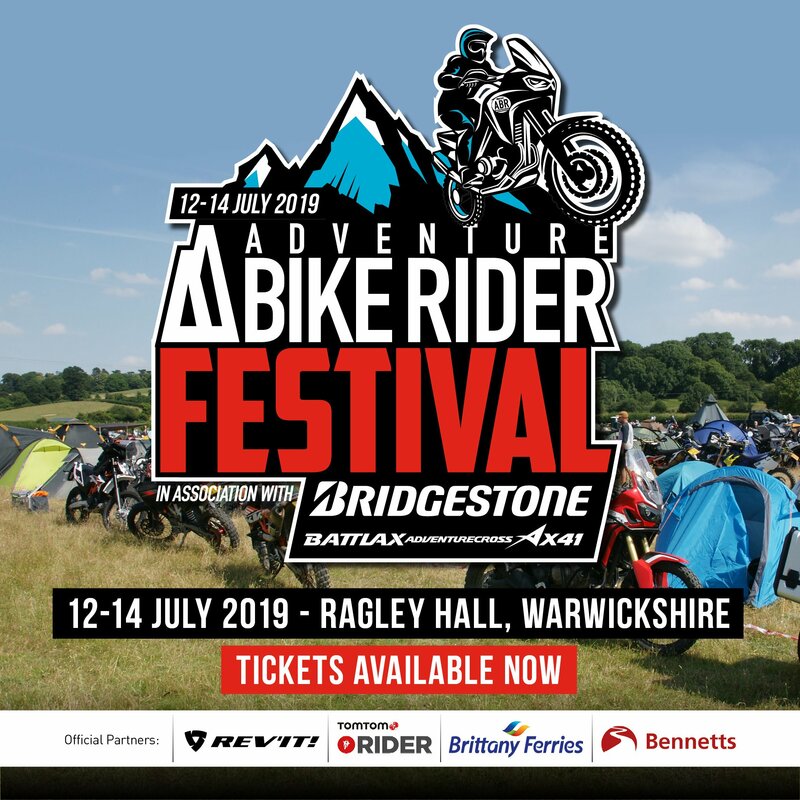 The last thing you want is to be slipping all over the place when trying to keep your bike upright, and in the event of a fall or an altercation with an obstacle, you’ll be wanting that extra protection in place. Keep your eye out for boots with aggressive, deep tread patterns (similar to what you might find on a hiking boot), a stiff sole, reinforced toe boxes and high, protective ankle support. 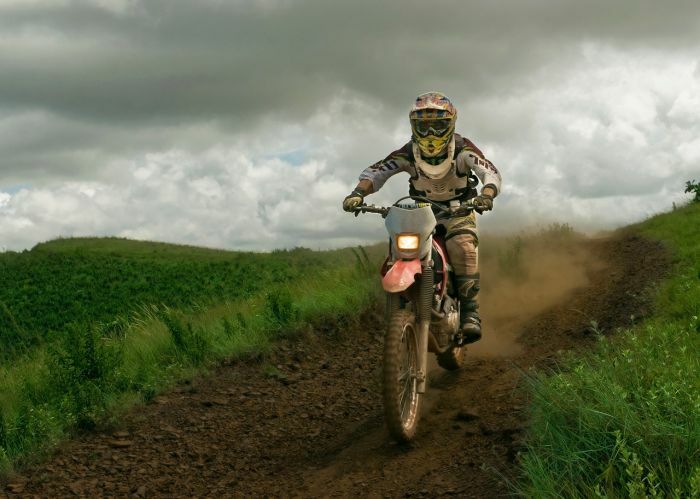 This is perhaps not as important if you are riding on the easier lanes, but when taking on gnarly trails, you’ll definitely want to keep your bike protected in the case of a drop or collision with an obstacle. The sort of things you need to be considering are engine guards, radiator guards, crash bars and a bash plate, as well as protection for the chain and exhaust. You may also want to consider kit such as fork gaitors in an effort to stop grit and grime getting into the forks. 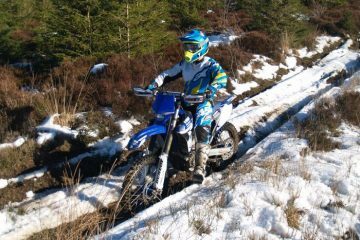 While a decent helmet and pair of boots represent a good start, if you’re serious about green laning you’ll want to think about investing in some body armour. There’s a huge range available, from knee protection to torso, back, shoulders and elbows. Comprehensive, off-road gloves are also advised. If your bike doesn’t already feature them, you’ll want to invest in some hand guards, too. They will prove invaluable protection of both your digits and the clutch/brake levers from obstacles. In fact, they just improve the riding experience all round. 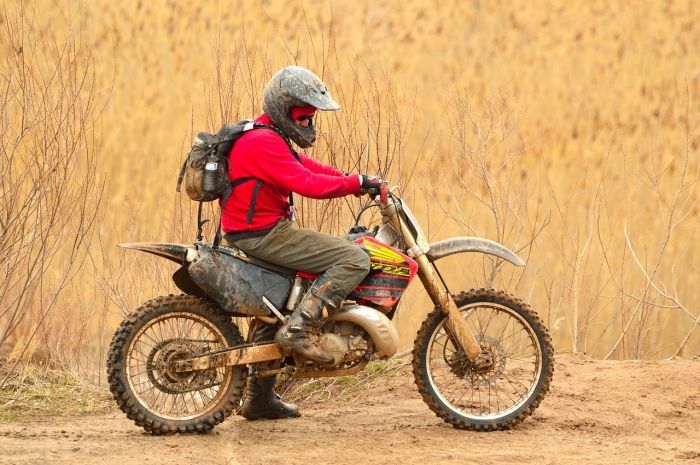 As you are probably aware of by now, it’s only a matter of time before something breaks or snaps on the bike when hitting the trails, so it’s a good idea to be prepared for that eventuality. Over time you’ll know what you’ll want to have with you, but there are certainly a few essentials you wouldn’t want to leave home without. These include cable ties, a range of spanners/sockets, a puncture repair kit, screwdriver, pliers/mole grip, a split link for the chain and a spark plug socket. 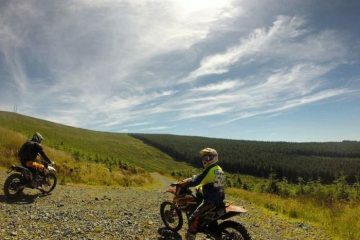 It may sound like an obvious one, but keeping hydrated while riding is vital and will help you enjoy the day. Even when it might not seem like it’s very warm out, you’re likely to be working up a sweat and losing fluid if you’re wrestling your bike through ruts and knee-deep mud. Now, you could just use water bottles, but in our opinion, hydration packs are the way to go. They ensure you have easy access to fluids throughout the day and you won’t have to keep stopping and rummaging around for a bottle when you want a drink. Most packs also come with storage compartments which are super useful when you want to keep things lightweight. 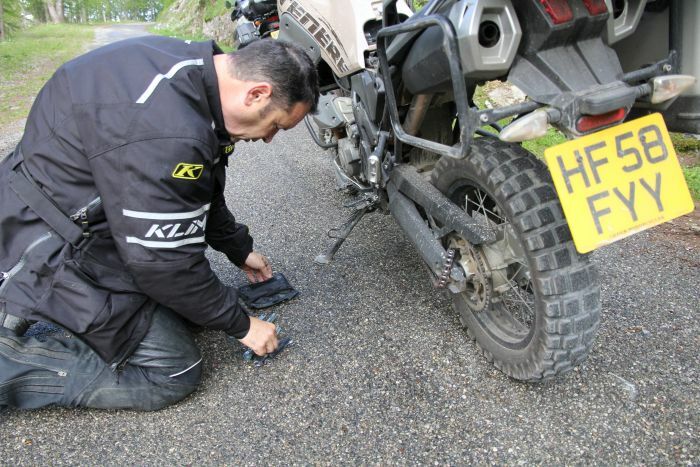 As you will probably already know, punctures can be quite a nuisance when trail riding, especially when it really slows down your day. Unfortunately, it just comes with the territory. But there are ways you can minimise the risk of punctures. One of the most cost effective methods is upgrading to heavy duty tubes, thus reducing the chance of suffering this time-consuming event. Based in West Sussex, Moto-ward is an off-road retailer that specialises in Yamaha spares and accessories and carries a selection of service parts for Honda, KTM, Suzuki and Kawasaki. Conveniently, the firm is also well stocked in the clothing and accessory side of things and stock many of the items mentioned above. 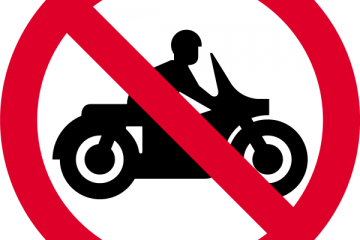 This includes off-road specific helmets, boots and armour, as well as protection for bikes. Check out the full range here.